This month we’ve explored some of America’s most mystifying cold cases. This week, to end our Macabre Monday series, we’re exploring the murder of Betsy Aardsma, who is still the subject of an open murder investigation nearly 50 years after her death. For all intents and purpose, Betsy Aardsma was a normal graduate student. 22 years old, she was completing her master’s degree at Penn State University when she decided to return early from Thanksgiving break. She had spent Thanksgiving Day with her boyfriend David Wright, a pre-med student at the Penn State College of Medicine, and had decided to return to campus for a research paper. 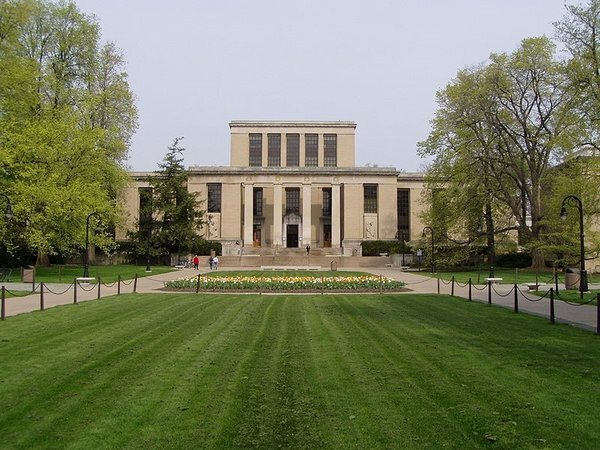 The Pattee Library at Penn State University, where Betsy was murdered. Image by National C. Sheetz [CC BY-SA 3.0], via Wikimedia Commons. On the afternoon of November 28, 1969, Betsy and her roommate went to the library together, but separated to do their respective work. 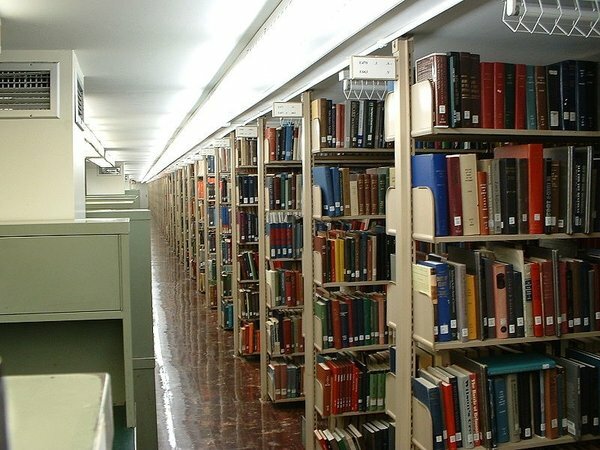 Betsy headed into the university’s library stacks, where she began looking for research in rows 50 and 51. Students nearby claim they may have heard a man and woman talking before books were heard crashing to the floor. Betsy was found amongst her books on the floor. At first, onlookers and emergency responders believed Betsy had had a seizure, and several attempted to resuscitate her. When this failed, she was transported to the local hospital, where it was discovered that she had not had a seizure, but had actually been stabbed through her left breast. The one-inch stab would had severed her pulmonary artery, and pierced the right ventricle of her heart. The wound had produced very little blood externally, which had been masked by the red dress she was wearing. Shortly after 5:19PM, Betsy Aardsma was pronounced dead. Police quickly began working to identify Betsy’s killer, but the case soon presented several obstacles. The first came at the crime scene. Not initially suspecting foul play, police had failed to secure the library, and it was subsequently cleaned by janitorial staff. As a result, any forensic evidence from the crime scene was lost. Authorities were also confounded by the fact that although there were several people only feet away from Betsy at the time of her death, no one seemed to have seen the killer as they fled the scene. A clerk for the library was able to offer that around the time of Betsy’s death, one or two men had approached the counter to say “somebody better help that girl,” before leaving the library. This clerk helped to create a sketch of the potential suspect, but this sketch also yielded no leads. With little to go on, police began questioning those who knew Betsy, including her boyfriend, David Wright. Detectives descended on the Penn State College of Medicine, and questioned Wright several times on his whereabouts the night of Betsy’s murder. But Wright had a solid alibi – he’d been studying gross anatomy all night with a group of classmates and friends, all of which could account for his time with them. After clearing Wright, police interviewed hundreds of students across several Penn State campuses, but the trail eventually went cold. The stacks at the Pattee Library. Image by George Chriss [GFDL, CC BY-SA 3.0], via Wikimedia Commons. Today, investigators still aren’t sure who is responsible for Betsy’s murder, but many arm-chair detectives pin the crime on Richard Haefner. Haefner, a fellow student at Penn State in 1969, is said to have been befriended Betsy at some point during her first few weeks of classes. However, Richard apparently scared Betsy, and she ended the acquaintance. Feeling jilted, Richard killed her in the Penn State library. Although Haefner died in 2002, many believe he may have been responsible for the crime, and he was investigated several times for assaulting young boys throughout the 20th century. Unfortunately, it becomes less likely as time moves on that Betsy’s murder will ever be solved. Her case, remains an open investigation accepting information in Pennsylvania, in the hopes that some new clue will finally shed some light on what happened in the darkened Penn State stacks. The Macabre Monday Series will run for five weeks, featuring one cold case each week! Check back next Monday for Part IV of our series, the Walker Family murders. If that’s just too long, check out our true crime titles! Who do you think might have killed Besty Aardsma? Let us know in the comments below!